Certification with the Professional Bicycle Mechanics Association and the experience of working on bikes for 20+ years professionally there is nothing I can’t fix and maintain on a bicycle. Living in the trenches over the past 2 decades I have seen bikes evolve from steel lugged beauties of the old days to carbon wonder bikes with electronic everything. Mountain bikes went from rigid alloy tanks to fully suspended lightweight machines lighter than road bikes used to be, capable of launching off cliffs nobody would ever dream of pointing their bike at 20 years ago. My repair skills include all the normal maintenance items you would expect from derailleurs, brakes, cables, hydraulics, adjustments and lubrication. Suspension service for forks and rear shocks as well as pivot bearing maintenance and replacement. Even the latest electronic shifting adjustment and firmware updates can be addressed. Wheel building, truing and bearing replacement for hubs are all skills I can apply to your rig. I do repair work on a ala carte basis and every bike is assessed with an estimated cost up front free of charge before work is started. 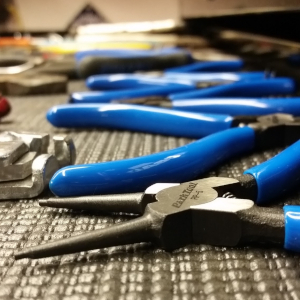 Just like bike fitting, attention to detail is key to quality work in bike maintenance and repair. ▸ What is your turnaround time? Depends on many factors but most importantly what is being done to the bike and availability of parts. Since I work on a “by appointment” schedule your bike is the focus at that time. ▸ What kind of costs are there? Every repair is assessed on an individual bike by bike basis. All costs are estimated before work begins and if the estimate is going to be exceeded then the client is consulted and the bike is re-evaluated before work continues. ▸ Are there repairs “too big or too small”? 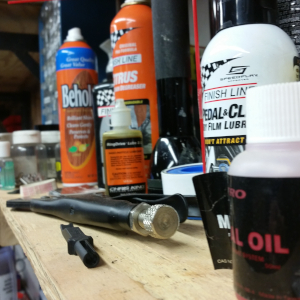 Nothing in bike maintenance is too big or small to be addressed. Everything from simple adjustments that can be done while you wait to complete overhauls with full suspension rebuilds that might take a week or ten days. ▸ Can you do mobile repairs or even pick up my bike from me? I can come to your home or office and depending on the services needed do the repair on site. If the repair is too involved to be done on the road I can pick up your bike and bring it back to my shop and deliver it when repairs are complete. I am happy to pick up/drop off most anywhere in the 5 county area. Call me and let me make the process easier for you. ▸ Do you set hours of operation? I work on an appointment schedule. This way each person gets the one on one attention required for their bike without distraction. 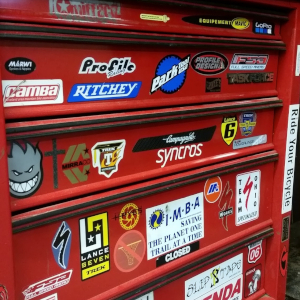 Call or email and set up a appointment to get your bike taken care of anytime. ▸ Can you teach me to work on bicycles? I am happy to teach any of the techniques and repair procedures involved in bicycle maintenance and been instructing others for 20+ years. 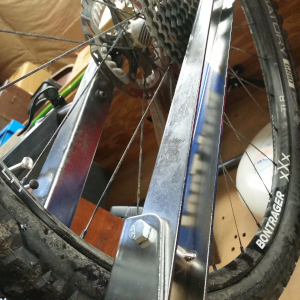 If you want to do a complete teardown of your rig and be helped every step along the way or just learn the basics of derailleur adjustment or wheel truing so you can get out of trouble when the trail bites back and tries to leave you stranded. I like to work one on one with people for the heavy down and dirty stuff but can also work in small groups on the more basic techniques. This cost is $60/hr and gets scheduled just like any other appointment. Call anytime to learn to work on your bike for yourself.